On January 19th, 2015, The Sustainable Investor proposed a novel metric: The Sustainable Elasticity of Demand. “Income Elasticity of Demand is the renowned nomenclature to detail the relationship between quantity demanded and real income. As such, Income Elasticity of Demand = percentage change in quantity demanded / percentage change in income. What if there was such existence of a Sustainable Elasticity of Demand? 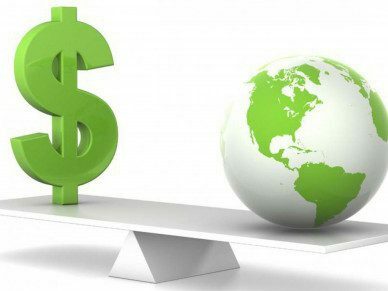 If there existed a quantifiable measurement of consumer demand per dollar spent on sustainable initiative, companies might be able to understand exactly how to maximize demand through sustainability.” – The Sustainable Investor, 1-19-2015. Somewhat paradoxically, the greatest impact on demand may not actually be the technique that creates the largest social good. A visible windmill may conjure a greater emotional response than a large scale impact [e.g. a natural gas power plant] that is not as noticeable. Enabling smokestacks to be less carbon intensive may be 100x more effective than planting trees, but one can see a forest. In fact, recent studies have concluded that planting trees in temperate climates may actually contribute to global warming due to their dark surfaces that absorb, rather than reflect, sunlight, and in the case of evergreen trees, the shielding of highly reflective snow. Light reflection cools the earth by reflecting heat away from earth’s surface and into space. Albedo, or the “reflectiveness” of a surface, sheds light (pun intended) on the natural acceleration built into global warming: reduction in ice and snow caused by warming decreases Earth’s albedo and has an “add-on” effect leading to greater heat absorption. A 2012 study from the Carnegie Institute of Science concluded “to plant forests outside of the tropics is a waste of time.” Yet, the national tree forest program in the United States, among other state and local initiatives, plants about 500 million trees per year in temperate climates. It should be noted that this is in contrast to planting trees in tropical zones, which effectively reduces an average of 50 lbs of carbon dioxide per year. We see a similar disparity between scientifically measured “good” and perceived “good” when we examine electric cars driven in certain states. As electric cars emit no visible emissions from their tailpipes. Consequently, many consumers consider electric cars to be entirely pollutant-free. Yet, in some coal-reliant states, such as West Virginia, drivers of electric cars are carbon villains, not heroes. Perhaps surprisingly, the carbon required to power electric cars sometimes exceeds what would be emitted from a gasoline-powered car. Why? The CO2 from a coal-powered plant required to produce the electric power, the “vampire drain” of an unused battery over time, and the lower efficiency of battery-powered cars at higher speeds. It seems reasonable to conclude that the consideration of a Sustainable Elasticity of Demand would result in an entirely different menu of viable projects than that which would result from scientific analysis, particularly in the absence of perfect information. If we assume less than efficient markets, i.e. imperfect information, the emotional response of the consumer is quite plausibly largely based on his/her perception of sustainable benefits. 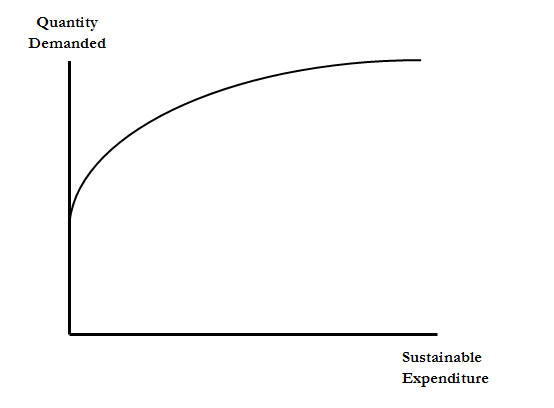 The elasticity of sustainable demand is a ratio: the denominator denotes dollars spent for a certain impact; the numerator portrays the resulting change in consumer demand. In essence, the ratio in its entirety measures the emotional consumer response resulting from a scientific assessment of the impact of each dollar spent. E, or elasticity, = Emotional Impact on Demand / Scientific Social Impact of Dollars. Visualization techniques become paramount to the consideration of Sustainable Elasticity of Demand. Interestingly, visualization became popularized as a result of the research and success of Russian athletes in the 1980 Olympics. In preparation for the Lake Placid winter games, it was unearthed that Russian athletes who engaged in 50% physical and 50% mental training (i.e. visualizing success) outperformed those athletes who solely focused on physical training. Consider Warby Parker, a paradigm of successful visualization. [View TSI’s Company Case Study Here]. If we examine the denominator, the scientifically measured social impact of dollars spent, we can ascertain the following. A 2010 study from the Brien Holden Vision Institute and Johns Hopkins University concluded that providing eye exams and corrective lenses to the 703 million without access could save the global economy $202 billion per annum. This figure translates to slightly over $1 trillion over five years. The cost? VisionSpring indicates $4 per pair, or a total $2.8 billion. That’s right – we’re talking about an approximate 350 to 1 payback! Moreover, Warby Parker is likely more efficient than the industry in its endeavor. While the company is not public, and, therefore, we cannot ascertain the exact costs of its charitable program, it seems reasonable to approximate a cost of $2 per pair, enabling Warby Parker a 700 to 1 payback. The perceived benefit by the consumer regarding the buy one pair of eyeglasses for $99 and give another pair for free is that the company is donating that same $99 pair of eyeglasses to the developing world. The consumer can almost identify with the individual receiving the glasses. In fact, the image of someone in need receiving a donated pair of glasses is likely reinforced every time the consumer looks in the mirror at his/her own pair. The message is simple and straightforward: the consumer has become involved with an admirable social cause, progressing towards a goal with an identifiable and countable outcome. Maximization of consumer perception of social benefit –> maximization of elasticity of sustainable demand –> greater sales –> more eyeglasses for those in need. I am surprised that some of the large foundations which are focused on global Health and Education, such as the Gates Foundation, have not emphasized vision correction. Great Post. Thank you for raising awareness. John. We have a large collection system of used eye glasses in the UK, which are then sent to developing countries. The optometrists have a large effort underway.